My destination was only about a half hour’s drive. I wasn’t sure, though, which route to take since I knew of two different ways to get there. Since I had my cell phone with me, I decided to turn on my GPS and get some directions. Deciding only to put the name of the town I was driving to, the audible voice of the navigation system began to give me instructions on how to get there. Arriving safely to where I wanted to go, I forgot about the GPS being on. When I got back into my car to leave, the navigation system was still of the impression that I had never arrived since I had not quite gone to the area that it had projected. I began to drive and the insistent voice of the GPS began to instruct me. Since I would have had to stop my car to access the program on my phone and cancel it, I decided to keep driving. What happened next made a very great impression on me. The voice was channeled through my car’s speaker system, so it was quite loud and realistic. As I drove away from where it knew I needed to be, I began to get instructions about how to change my course to the proper direction. "At South Street, take a sharp right and continue east." As I determinedly passed "South Street" the voice recalculated how to get me back on track based on where I was at that point. Traveling on, the voice implored me, time and again. "In a quarter of a mile, turn left on Highway 441." "Turn right on Main Street." "At Avenue C make a U-turn." I could’ve pulled over and turned the program off, but I was enthralled with the lesson I was hearing. For twenty to thirty minutes, my GPS told me exactly what to do in order to get back to where I was supposed to go. EVERY TIME I disobeyed the instructions, it would ascertain where I was at that point and firmly tell me how to get back from there. At NO TIME did the voice ever scold me or tell me how stupid I was not to have listened in the first place. It was like it was thinking, "Okay. You’ve gone the wrong way down this road, now. Here’s the best way to get you back out at this point." And when I didn’t listen and obey? "Well, you’re even farther from where you need to be. You’ll have to take this next route now." Does this make you think of how God is patient with us? He tells us where we need to be. He urges us to come to Him for salvation and for guidance. What happens when we go the opposite direction? He still wants us to come to Him. If we are at "Point A" in our lives, He meets us there and instructs us home. If we are at "Point B" in our lives, He meets us there with what we need to know. Just like the GPS system, He implores us over and over to turn toward Him. He doesn’t call us names; He lovingly tells us of the route we need to take–right then. What about your life today? Are you traveling in a direction that is different from what God is telling you? Why not listen to His instruction and head on back—-to the place you are really supposed to be. Instead of wandering, lost and unsure, let Him guide you back home. 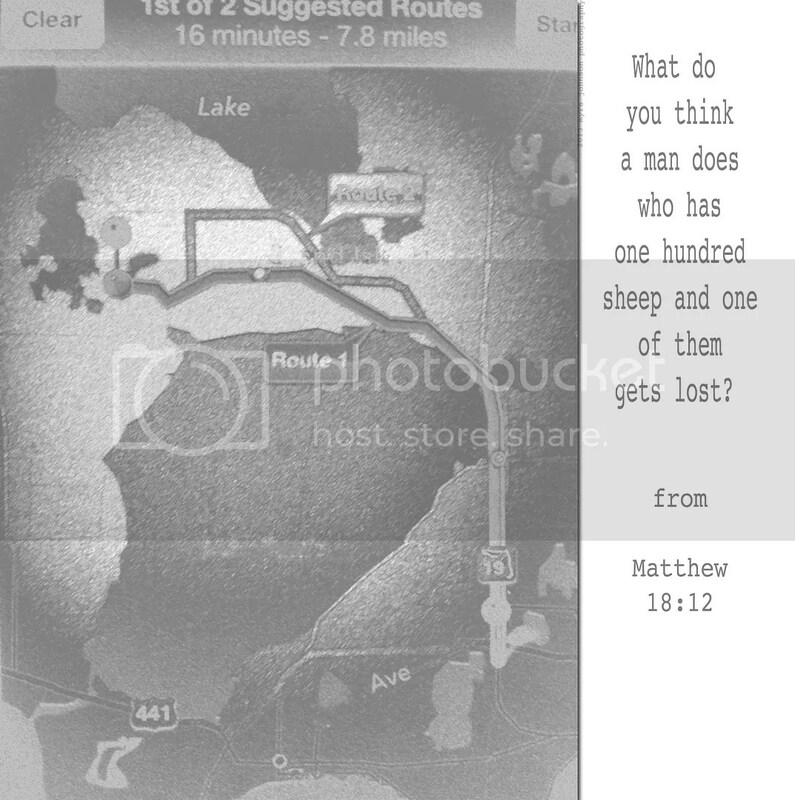 What do you think a man does who has one hundred sheep and one of them gets lost? He will leave the other ninety-nine grazing on the hillside and go and look for the lost sheep. Except he has a total of seven hours and has yet to solo . . . If we were REALLY unkind, we could say the size of his ag Tag Heuer Aquaracer Watch is inversely proportional to the size of . . . well never mind. FAA regs require a clock on the panel anyway, so you really don’t even need a Tag Heuer CAH1110.BT0714 watch to go flying. How about this – “Hey little girl, wanna go out to the airport and see my panel clock?